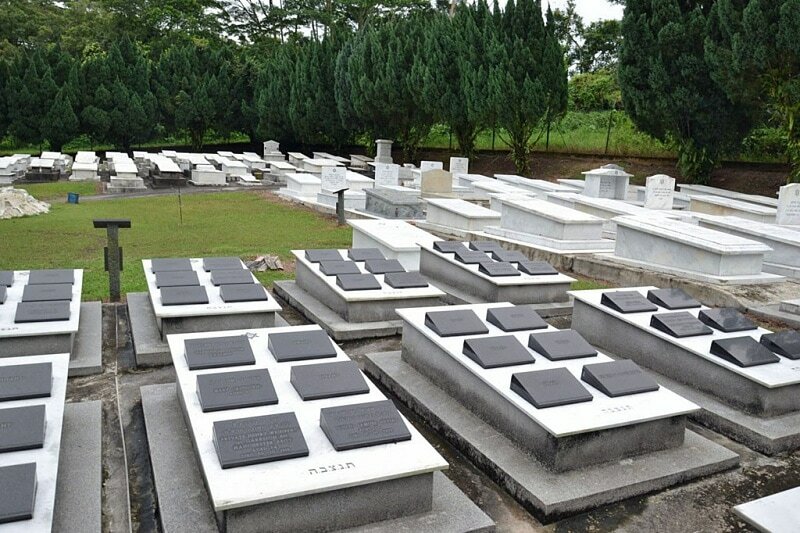 The entrance to the Jewish Cemetery is on Chua Chu Kang Road, which is off the road from Lim Chu Kang Road. From the entrance gate keep the Chapel on the right and the grave is to be found further along the path on the right. Entrance is gained by prior appointment with Mr Edward (Caretaker) on +65 9675 6439. This civil cemetery contains one Commonwealth burial of the First World War. 50008 Private Henry Weinberg, 1st Garrison Bn., Bedfordshire Regiment, died 9th October 1918, aged 24. Son of S. J. and Kate Weinberg, of 135, Castlewood Rd., Stamford Hill, London.